E-ink-Reader. Replacing the e-ink screen. Remember that the replacement screen e-book is hard work and if you are not confident in their abilities, it is best to contact your service center. The authors are not responsible for your actions in implementing the recommendations written on the page. Before replacing the screen to make out an e-book, take off her old (damaged) screen and find on a flexible cable marking model. This marking is necessary to order a new e-ink screen. Just enter the screen model in the search box of any search engine and choose a favorite shop spare parts. 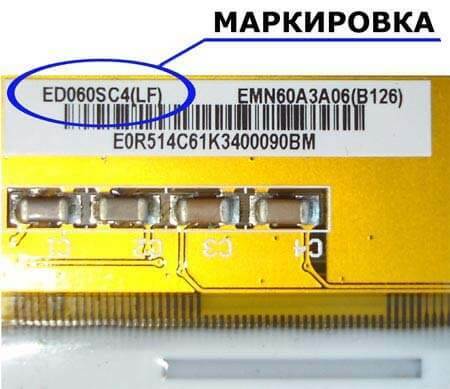 How to disassemble some models of e-books can be found on the page Battery models , there are links to photos and videos for disassembling readers. If the shell halves are held reader to snap, leaving no scratches on them, instead of a screwdriver Expand the joint between the plastic card. After the back cover is opened to disconnect and remove the battery. Next, the loosen connector lock loop flexible display by hooking on both sides of a thin screw driver. Now disable the ribbon cable from the connector. 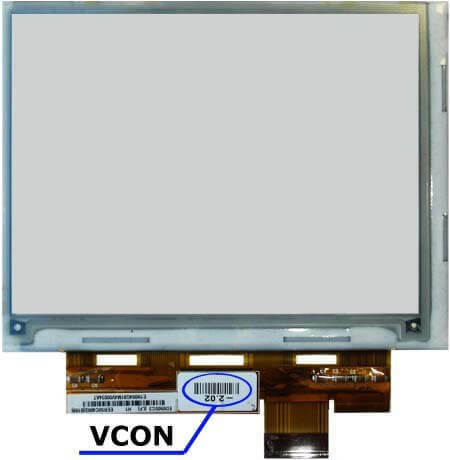 Then, the printed circuit board can be removed for access to the display. 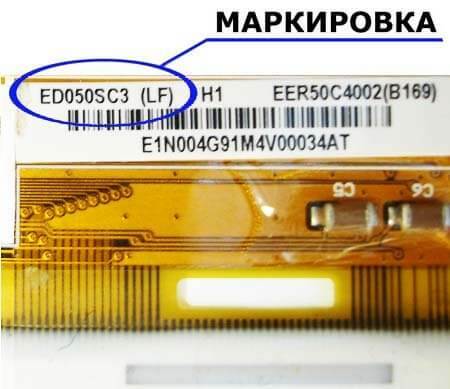 In some models of electronic readers the display is glued tocircuit board and it has to literally "scrub away" bit by bit. Shards of broken glass screen are very acute and thin. It is better to use thin gloves when you are working, so as not to cut your hands. Before installing the new e-Ink display with base concrete must be removed all the broken glass, dust and other foreign objects. Any piece of glass or even a grain of sand that gets between the main circuit board unit and the screen can cause it to faults again. Please always remember that the e-ink screen is very thin and fragile and even small deformations it breaks down. Table models most frequently used E-ink screens.